Trade and commerce are among the oldest, most pervasive, and most important of human activities, serving as engines for change in many other human endeavors. This far-reaching study examines the key theme of trading in world history, from the earliest signs of trade until the long-distance trade systems such as the famous Silk Road were firmly established. 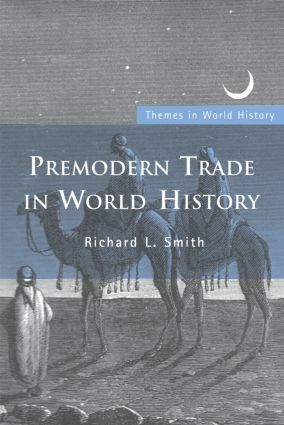 Beginning with a general background on the mechanism of trade, Richard L. Smith addresses such basic issues as how and why people trade, and what purpose trade serves. The book then traces the development of long-distance trade, from its beginnings in the Paleolithic and Neolithic periods through early river valley civilizations and the rise of great empires, to the evolution of vast trade systems that tied different zones together. • the transition to a modern commercial system. Complete with maps for clear visual illustration, this vital contribution to the study of World History brings the story of trade in the premodern period vividly to life.